Our financial aid staff are here to help you invest in your future. Students are encouraged to apply for financial aid early, as many awards are available on a first come - first served basis. Remember to include your full name and other personal information (for example, your social security number) on your admissions application to ensure we can match your financial aid application to you. The topics below will help guide you and provide additional information into financial aid, but if you have more questions do not hesitate to get in touch with us! I am unable to pay the pre-enrollment fee, can I use my financial aid? Students may be eligible for a fee deferral for the enrollment deposit. Please email PreEnrollmentFee@csueastbay.edu for questions regarding the fee. What is a financial aid award letter? The financial aid award letter includes information on the types of financial aid you were awarded. 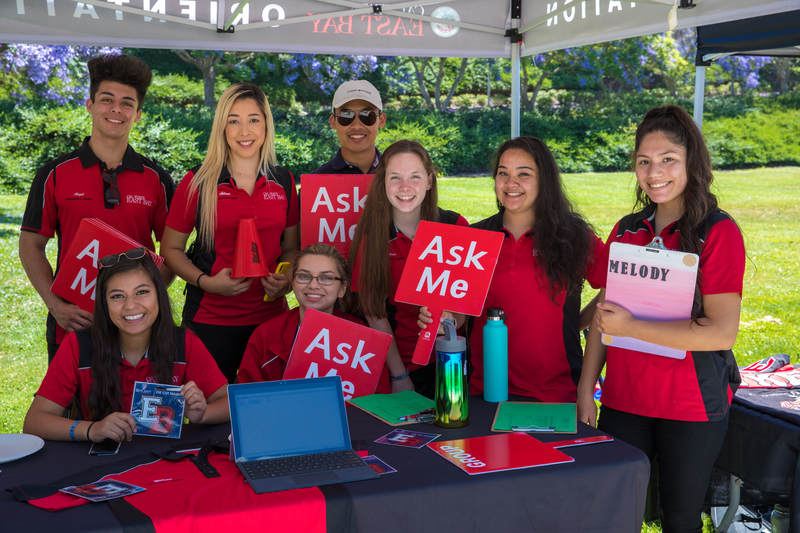 You can view your financial aid award information through your letter or your MyCSUEB Portal. I've been admitted, when will I receive my award letter? Award letters are sent to new students starting in early March. Students will receive an email when their award letter information is available. If you have not received award letter, please contact us and we will be happy to give you an update. What is an estimated award letter? If we need to collect additional information from you to finalize your award letter, you may receive an estimated award letter. Please remember that estimated awards may change after we have reviewed the information you submit. Tuition is due now, how do I tell the Student Financials Office I am using my financial aid to pay my bill? Students that have financial aid awards for the upcoming term will receive a financial aid fee deferral and will not be required to submit payment by the earlier payment deadlines. The financial aid fee deferral is not applicable to housing charges. The financial aid fee deferral will display on your MyCSUEB portal too. I received a loan on my financial aid award, but I do not want to take a loan? How do I decline it? You can accept/decline/reduce your loan award amount through your MyCSUEB Portal, under the financial aid tab. My family's financial circumstances have changed since we applied for aid. Can Cal State East Bay take these changes into consideration? If you or your parent(s) financial situation changed after you applied, or any time during the academic year, you may submit a special circumstance appeal, which is available online through our digital forms page. For more information, please refer to the Special Circumstances section of our website.